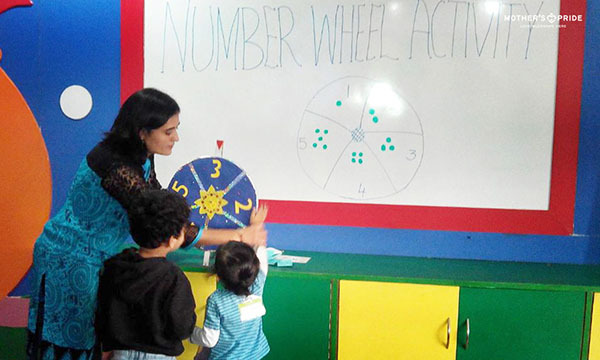 An activity termed as “Number Wheel” was organized in Mother’s Pride school where teachers created a wheel with numbers 1 to 5 alongside drawing hopscotch on the floor. 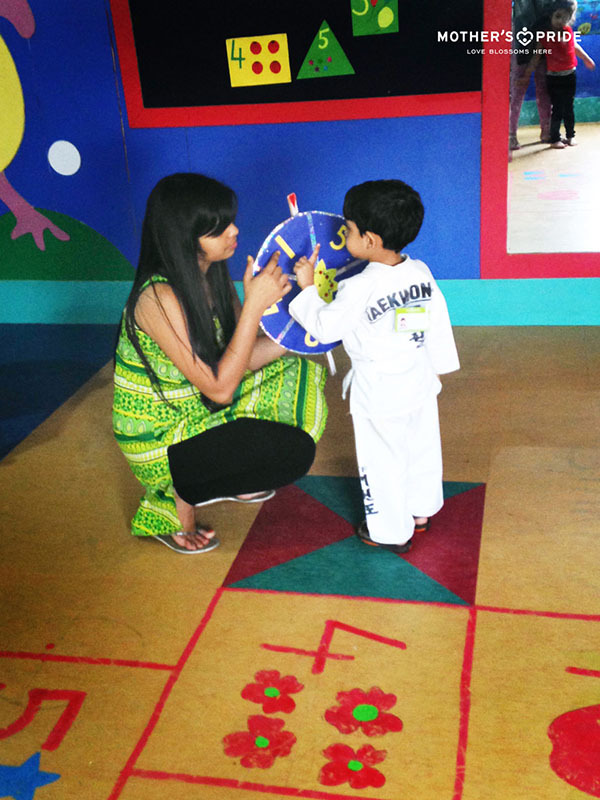 The activity was done with one child participating at a time while the other children boost their friend’s confidence by cheering for him. 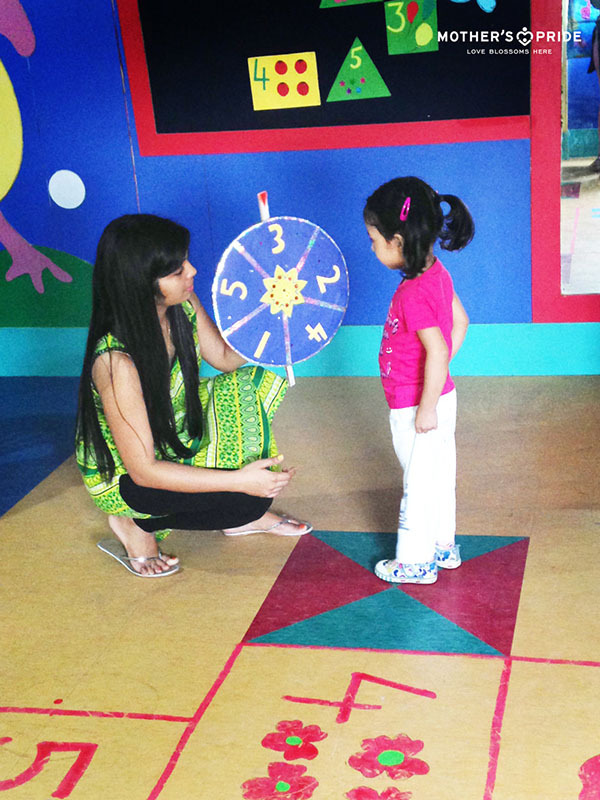 Each child was encouraged to spin the wheel. 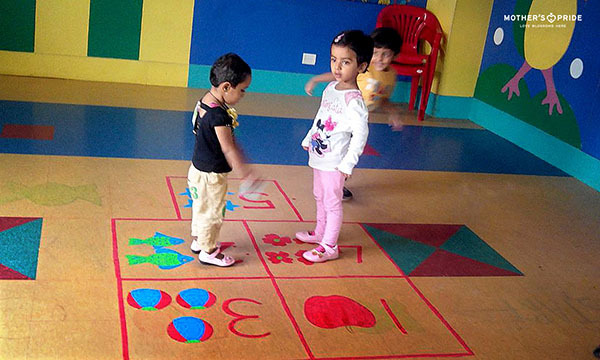 The child was then asked to identify the number on the wheel and jump on the same number drawn in the hopscotch on the floor. The game was repeated with other children, till all of them reached the end of the grid. Whoever finished first was the winner.